Features of our Mini Breadboard kits: The included jumper wires can help you to connect different components quickly. Wires come in several colors and therefore so it won't be hard to tell which ones are which. 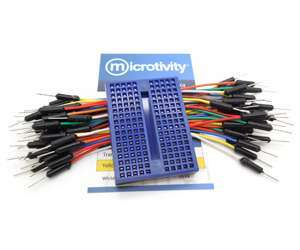 The mini breadboard is ideal for creating small circuits, to act as a secondary circuit of a main circuit, and more. They are also suitable for use in size-constrained circumstances such as attaching on to a robot car.